IM 8800 is the next generation portable NIR instrument. 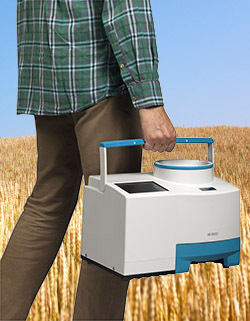 The instrument has been designed with portability in mind to give users freedom to measure grain in-field, at grain storage sites and at grain processing locations. Equipped with GPS enables point specific sampling to generate protein maps on-the-go to make informed harvesting and binning decisions. With uncompromising quality and build standards the instrument provides you with highly accurate data which you can rely on. Click here to download Inframatic 8800 NIR Grain Analyser Brochure. Designed for farm conditions, this rugged meter is ideal for testing grain for moisture, protein and oil. An automated shutter protects the tester from light, insects and vermin to ensure reliable, low maintenance operation for years to come. Portable – Compact, light enough to hand carry and powered by 12V to 24V, or battery (up to 2 hours), the Inframatic 8800 goes with you where you need it most: in the pickup truck, in the cab of the header and to the silo. The standard carrying bag protects the IM 8800 and is useful for transporting the instrument to inspection sites, fields etc. 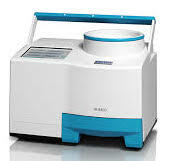 It’s also useful for long-term, protective storage of the instrument after harvest. GPS – The Inframatic 8800 is equipped with a GPS so you can create protein maps of your fields. Make fast harvesting and binning decisions to manage your grain quality. Protein maps allow farmers to extract additional profit by identifying pockets of premium grain. Topography, fertilization, and run-off are known to cause variation in protein content within a field. The Inframatic 8800 helps you get the most value from the grain you are already producing. It’s all about portability and fit-for-purpose with the IM 8800. Place it in the cab of your pickup or harvester. It’s small enough to carry around the field for spot testing allowing you to determine optimal harvest time. The 2 hour battery life and GPS allow you to create protein maps of fields. Variability of protein in wheat within a single row has been shown to be up to 6%. The maps allow you to capture that value. Maximize profitability by better controlling drying, identifying your highest quality grain, and selling it for a premium. Deliver the right grain to the right buyer. Test your grain as it’s going into storage and as it’s going into the truck. Send the highest quality grain to those willing to pay premiums. Make sure you get the most for your grain. Select the type of grain to analyze. After analysis, results are displayed on the screen, and the sample box can be emptied.